The Bremen Center for Computational Materials Science (BCCMS) is an interdisciplinary research center of the science and engineering faculties at the University of Bremen (UB). The major research focus is related to fundamental and applied topics in Computational Materials Science.By using state-of-the art multiscale methods ranging from atomistic quantum mechanics over coarse-graining approaches up to micro- and macroscopic continuum theory, we particularly deal with problems related to the structural design of complex materials in order to develop novel functional materials and devices in close cooperation with experimental and industrial partners. Point defects acting as color centers in solids may realize single photon source and quantum bits that can be harnessed in quantum information processing and nanoscale sensor applications which may revolutionize the info-communication technology, biological research and therapy. The leading contender is the nitrogenvacancy center in diamond which may be considered as a robust quantum tool. Several quantum algorithms and protocols for sensing have been already demonstrated by this center. However, researchers face many materials science problems in order to maintain the favorable intrinsic properties of this color center that can be perturbed by other defects either in bulk or at the surface of diamond that is difficult to resolve because of its chemical hardness and the concurrent stability of carbon allotropes. Recently, theory-driven search for alternative materials could identify other quantum bit candidates in technologically mature wide band gap semiconductors, particularly silicon carbide, that have been recently demonstrated in experiments. However, the knowledge about these color centers is scarce and only the tight collaboration of experimental and atomistic simulation researchers would lead to a rapid progress in the field. The proposed workshop aims at bringing together world-leading experts in all these fields to improve interdisciplinary cooperation overcoming traditional boundaries between scientific disciplines. The proposed workshop became a forum to brainstorm ideas about solutions to important computational problems, and identify new directions for time-dependant electronic structure method development and challenging applications. In this way, we have been able to create an exchange mechanism to unite a core of developers in an interactive environment, in order to initiate design of a new generation software tools for quantum modelling of realistic complex systems and nanostructures in electronic ground and excited states. The delivery of this technology to a broad community will facilitate breakthroughs on high-impact materials science problems. The workshop “Tackling Complexity of the Nano/Bio Interface – Computational and Experimental Approaches” was held at the University of Bremen, Germany from June 12th to 16th 2017. In total, 72 participants from Belgium, Brazil, Finland, Ireland, Luxemburg, The Netherlands, Portugal, Slovenia, Spain, Sweden, Switzerland, Russia, France, Germany, UK and US attended the workshop. 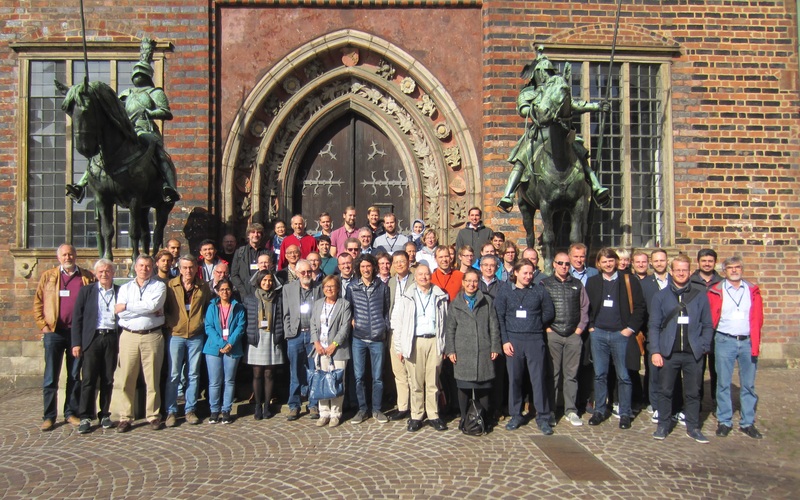 The workshop “Tailor-made 2D-materials and functional devices” was held at the University of Bremen, Germany from June 27th to 1st 2016. In total, 76 participants from Belgium, Brazil, Finland, Ireland, Luxemburg, The Netherlands, Portugal, Slovenia, Spain, Sweden, Switzerland, Denmark, France, Germany, UK and US attended the workshop. 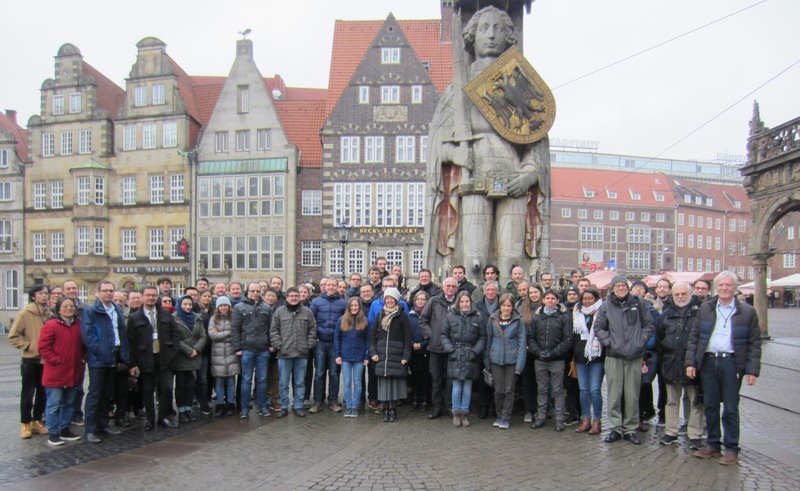 The programme consisted of 30 invited lectures, one poster session presenting 37 posters and many events (reception / conference dinner) to allow for informal exchange. The lectures were scheduled to last 40 min, including 5-10 min discussion time. In addition to this extended time for discussion, the chairpersons were instructed to introduce the subject of the session and to actively participate in the discussion. This “Gordon-conference-style” was essential to guarantee a vivid discussion. The organizers ensured that well-established scientists acted as invited speakers and chairpersons. Concerning the poster session, we accepted only 37 posters to allow for an intense exchange of ideas at each single poster. Here, we encouraged in particular the young scientists to ask questions. The participation of PhD students was supported by partly covering local accommodation costs. Due to the compact organization and accommodation in one hotel only all participants stayed together for the whole time of the conference, which additionally enforced the scientific discussion which was mandatory since scientists from various separated fields, i.e. advanced quantum chemistry, many-body perturbation theory, DFT and beyond, scanning probe techniques, optical spectroscopy, ARPES, etc. were attending the meeting to merge ideas and formulate a common goal for future directions and collaborations of theory groups with experimental groups. Financial support from the DFG, Psi-k Network, and the German CECAM node multi-scale modelling from first principles, cecam-mm1p.de and the University Bremen is gratefully acknowledged.